In his third year at Hogwarts, after Harry is denied access to Hogsmeade, Fred and George decide to make things a little easier for him. 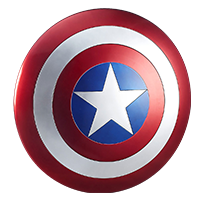 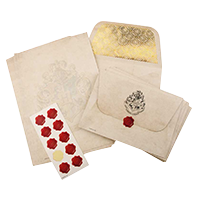 They gifted him a parchment, but not just any parchment. 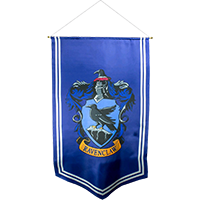 With a declaration of nefarious intent, a map of the school and all its current inhabitants appeared. 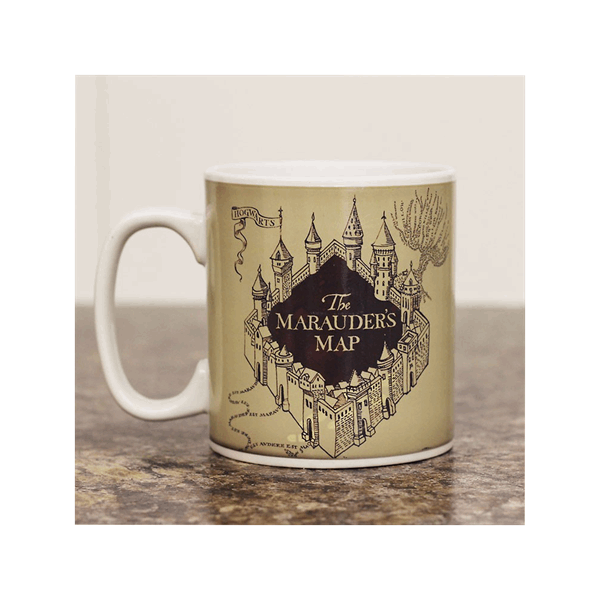 Harry was now able to follow one of the many secret passages to sneak out to Hogsmeade under his invisibility cloak, and he certainly found a great many other uses for the map as well. 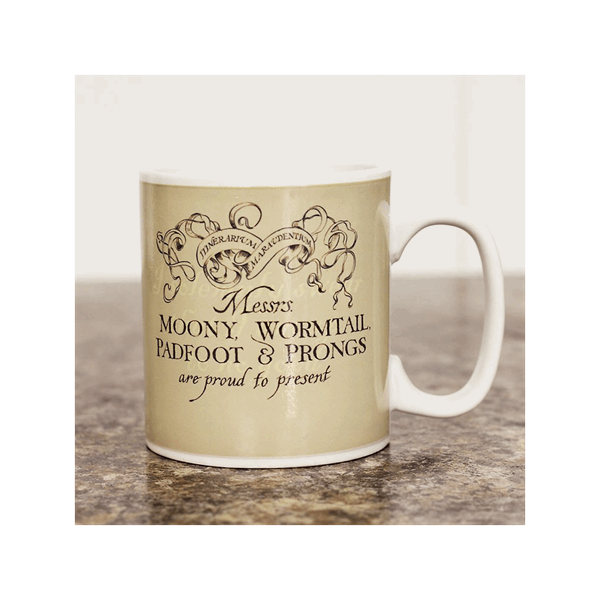 Good thing Messrs Moony, Wormtail, Padfoot and Prongs knew just how to keep Snape's prying eyes away! Step into the wizarding world of Harry Potter with this beautifully designed Marauder's heat-change mug. 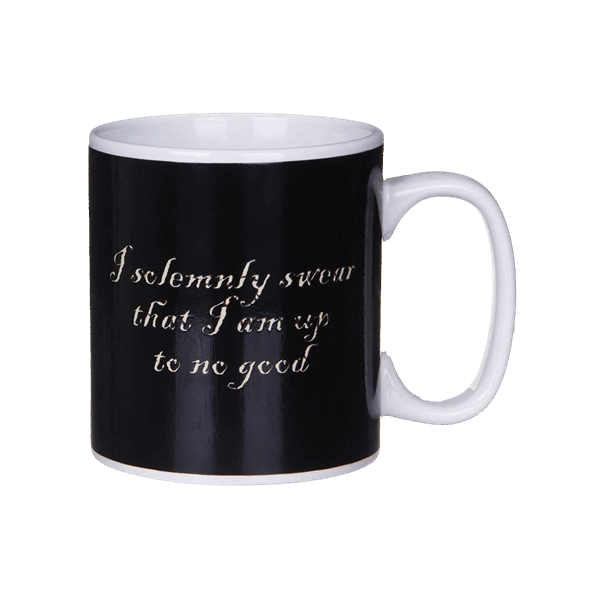 Perfect for any fan of the Harry Potter franchise, the mug displays the infamous incantation ‘I solemnly swear I am up to no good’ on the front, while the back shows footprints leading around the side. The inner base of the mug has the words ‘Mischief Managed’ written in the same stunning scripture displayed on the front. 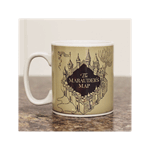 Once the mug is filled with hot liquid, the ‘Marauder’s Map’ is revealed showing the entire design of the Hogwarts castle and grounds. 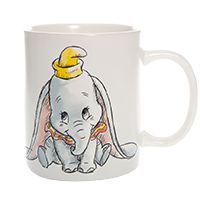 Packaged in a Harry Potter designed box that features the Hogwarts school logo, the mug would make an ideal gift for fans everywhere.